The histology analysis of biopsies using the PAS staining, which has been considered for a long time, as pathognomonic of WD, is not completely specific. Polymerase chain reaction assays could be performed on various biopsies (duodenum, adenopathy, cardiac valve, kidney, brain, synovial biopsy), liquid samples (cerebrospinal fluid, joint fluid, aqueous humor, blood), saliva, or stools. The DNA extraction is a clue step and different protocols have been proposed. These protocols could be applied in fresh sample or included in paraffin. Before the genome sequencing, all the five identified genes were used as targets for the molecular diagnosis of the WD. 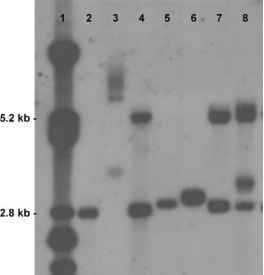 [28-31] For each PCR assay, it is necessary to include positive (DNA extracted from a suspension of T. whipplei) and negative controls. Indeed, samples must be separated every five samples by a negative control, including water and DNA extracted from control tissues (intestinal or other biopsies). The positive and negative controls must be correct to validate and interpret the results of each PCR assay. Recently, a PCR assay targeting the rpoB gene and using a real-time PCR apparatus has been successfully applied for the diagnosis of WD. This technique offers the advantages of reducing PCR time and risk of contamination. The availability of the genome has offered the possibility to rationally choose DNA targets. Indeed, a real-time PCR assay targeting repeated sequences of T. whipplei performed in samples from patients with WD and in a control group has allowed the significant enhancing of PCR sensitivity without altering its specificity, when compared to regular PCR. All the sequence primers available and published for the specific diagnosis of WD (except those targeting the 16S rDNA sequence), the target gene, and the molecular size expected of the amplified product are summarized in Table 1. When an amplification product is obtained by PCR, the identification of T. whipplei should be confirmed by sequencing or hybridization. Indeed, the main problem with PCR is the specificity, due notably to problems of contamination depending on the technique used and the studied samples. Besides, some divergences have been observed between laboratories. Positive results have been reported in saliva, gastric liquids, and duodenal biopsies in patients without WD. However, these data have not been confirmed by other teams. [32,34] Presently, we recommend for the definite molecular diagnosis of WD, notably for atypical cases, to use at least two pairs of primers targeting two different sequences to avoid false-positive results.